If you have been looking for a vehicle with sophisticated features near , you can find it with a new Buick at Suntrup Automotive Group. You and your family can enjoy well-appointed models like the Buick Enclave or Envision for all your trips to . Explore your options and the schedule a test drive today! This White Frost Tricoat 2019 Buick Encore Preferred might be just the crossover for you. With a 5-star crash test rating, this is one of the safest vehicles you can buy. Drivers love the dazzling white exterior with an ebony interior. Call today and take this one out for a spin! * After market Equipment may not be reflected in the price above **Price does not include $199 painted pinstripe were applicable, Processing fee of $179, Tax, Title or License. For the Greatest Customer Experience, contact our Internet Team at 636-936-9794. This White Frost Tricoat 2019 Buick Encore Preferred might be just the crossover for you. Don't skimp on safety. Rest easy with a 5 out of 5 star crash test rating. Rocking a sleek white exterior and an ebony interior, this car is a sight to see from the inside out. Call today and take this one out for a spin! * After market Equipment may not be reflected in the price above **Price does not include $199 painted pinstripe were applicable, Processing fee of $179, Tax, Title or License. For the Greatest Customer Experience, contact our Internet Team at 636-936-9794. This Summit White 2019 Buick Encore Preferred might be just the crossover for you. This crossover scored a crash test safety rating of 5 out of 5 stars. With a sharp white exterior and an ebony interior, this vehicle is a top pick. Make your move before it's too late schedule a test drive today! * After market Equipment may not be reflected in the price above **Price does not include $199 painted pinstripe were applicable, Processing fee of $179, Tax, Title or License. For the Greatest Customer Experience, contact our Internet Team at 636-936-9794. When you're ready for an automotive upgrade, try this 2019 Buick Encore Preferred on for size, which features a push button start, backup camera, Bluetooth, braking assist, stability control, traction control, anti-lock brakes, dual airbags, side air bag system, and digital display. Want a crossover you can rely on? This one has a crash test rating of 5 out of 5 stars! Rocking a sleek white exterior and an ebony interior, this car is a sight to see from the inside out. Don't sit on this decision for long...schedule your test drive today! * After market Equipment may not be reflected in the price above **Price does not include $199 painted pinstripe were applicable, Processing fee of $179, Tax, Title or License. For the Greatest Customer Experience, contact our Internet Team at 636-936-9794. The push button start, backup camera, Bluetooth, braking assist, stability control, traction control, anti-lock brakes, dual airbags, side air bag system, and digital display of this 2019 Buick Encore Preferred make this vehicle a true standout. Stay safe with this crossover's 5 out of 5 star crash test rating. Exhibiting a suave white exterior and an ebony interior, this vehicle won't be on the market for long. Don't wait until it is too late! Call today to schedule an appointment. * After market Equipment may not be reflected in the price above **Price does not include $199 painted pinstripe were applicable, Processing fee of $179, Tax, Title or License. For the Greatest Customer Experience, contact our Internet Team at 636-936-9794. For a smoother ride, opt for this 2019 Buick Encore Preferred with a push button start, backup camera, Bluetooth, braking assist, stability control, traction control, anti-lock brakes, dual airbags, side air bag system, and digital display. Want a crossover you can rely on? This one has a crash test rating of 5 out of 5 stars! Exhibiting a suave white exterior and an ebony interior, this vehicle won't be on the market for long. Don't wait on this one. Schedule a test drive today! * After market Equipment may not be reflected in the price above **Price does not include $199 painted pinstripe were applicable, Processing fee of $179, Tax, Title or License. For the Greatest Customer Experience, contact our Internet Team at 636-936-9794. Featuring a push button start, backup camera, Bluetooth, braking assist, stability control, traction control, anti-lock brakes, dual airbags, side air bag system, and digital display, be sure to take a look at this 2019 Buick Encore Preferred before it's gone. This one scored a crash test rating of 5 out of 5 stars. With a timeless white exterior and an ebony interior, this vehicle is a top pick. Call today and take this one out for a spin! * After market Equipment may not be reflected in the price above **Price does not include $199 painted pinstripe were applicable, Processing fee of $179, Tax, Title or License. For the Greatest Customer Experience, contact our Internet Team at 636-936-9794. The push button start, backup camera, Bluetooth, braking assist, stability control, traction control, anti-lock brakes, dual airbags, side air bag system, and digital display of this 2019 Buick Encore Preferred make this vehicle a true standout. With a crash test rating of 5 out of 5 stars, everyone can feel secure. With a stunning white exterior and an ebony interior, this vehicle is a top pick. Come see us today and see this one in person! * After market Equipment may not be reflected in the price above **Price does not include $199 painted pinstripe were applicable, Processing fee of $179, Tax, Title or License. For the Greatest Customer Experience, contact our Internet Team at 636-936-9794. Armed with a push button start, backup camera, Bluetooth, braking assist, stability control, traction control, anti-lock brakes, dual airbags, side air bag system, and digital display, you won't be able to get enough of this 2019 Buick Encore Preferred. You can trust this crossover because it has a crash test rating of 5 out of 5 stars! Flaunting a classic white exterior and an ebony interior, this car is a sight to see from the inside out. Call today to schedule your test drive! * After market Equipment may not be reflected in the price above **Price does not include $199 painted pinstripe were applicable, Processing fee of $179, Tax, Title or License. For the Greatest Customer Experience, contact our Internet Team at 636-936-9794. For a smoother ride, opt for this 2019 Buick Encore Preferred with a push button start, backup camera, Bluetooth, braking assist, stability control, traction control, anti-lock brakes, dual airbags, side air bag system, and digital display. Don't skimp on safety. Rest easy with a 5 out of 5 star crash test rating. Flaunting a gorgeous white exterior and an ebony interior, this car is a sight to see from the inside out. Don't wait on this one. Schedule a test drive today! * After market Equipment may not be reflected in the price above **Price does not include $199 painted pinstripe were applicable, Processing fee of $179, Tax, Title or License. For the Greatest Customer Experience, contact our Internet Team at 636-936-9794. With top features including the push button start, backup camera, Bluetooth, braking assist, stability control, traction control, anti-lock brakes, dual airbags, side air bag system, and digital display, this 2019 Buick Encore Preferred is a great decision. This crossover is one of the safest you could buy. It earned a crash test rating of 5 out of 5 stars. Flaunting a sleek white exterior and an ebony interior. Don't regret waiting on this one! Call today to schedule your test drive. * After market Equipment may not be reflected in the price above **Price does not include $199 painted pinstripe were applicable, Processing fee of $179, Tax, Title or License. For the Greatest Customer Experience, contact our Internet Team at 636-936-9794. This White Frost Tricoat 2019 Buick Encore Preferred might be just the crossover for you. Stay safe with this crossover's 5 out of 5 star crash test rating. Exhibiting a beautiful white exterior and an ebony interior, this vehicle won't be on the market for long. Call today to test it out! * After market Equipment may not be reflected in the price above **Price does not include $199 painted pinstripe were applicable, Processing fee of $179, Tax, Title or License. For the Greatest Customer Experience, contact our Internet Team at 636-936-9794. This Summit White 2019 Buick Encore Preferred might be just the crossover for you. Want a crossover you can rely on? This one has a crash test rating of 5 out of 5 stars! Rocking a charming white exterior and an ebony interior, this car is a great pick. Call today to test it out! * After market Equipment may not be reflected in the price above **Price does not include $199 painted pinstripe were applicable, Processing fee of $179, Tax, Title or License. For the Greatest Customer Experience, contact our Internet Team at 636-936-9794. If you're shopping for a quality vehicle with perks such as a push button start, backup camera, Bluetooth, braking assist, stability control, traction control, anti-lock brakes, dual airbags, side air bag system, and digital display, this 2019 Buick Encore Preferred may be the car for you. You can trust this crossover because it has a crash test rating of 5 out of 5 stars! With a gorgeous white exterior and an ebony interior, this vehicle is a top pick. Interested? Call today and take it for a spin! * After market Equipment may not be reflected in the price above **Price does not include $199 painted pinstripe were applicable, Processing fee of $179, Tax, Title or License. For the Greatest Customer Experience, contact our Internet Team at 636-936-9794. Why Buy a Buick at Suntrup Automotive Group? Intellilink – Combines with the infotainment system to make hands-free calls, texts, manage music, etc. 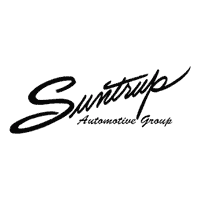 Use our handy payment calculator that you can use to help decide between your financing options at Suntrup Automotive Group!